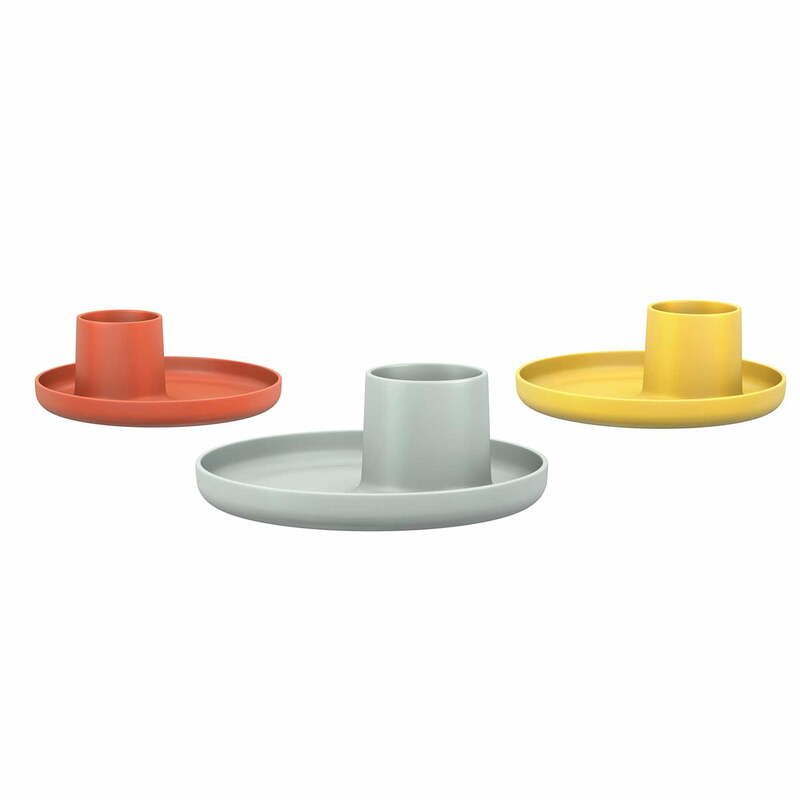 O-Tidy by Michel Charlot for Vitra is a practical container, which combines the basic forms of a cup and a plate. 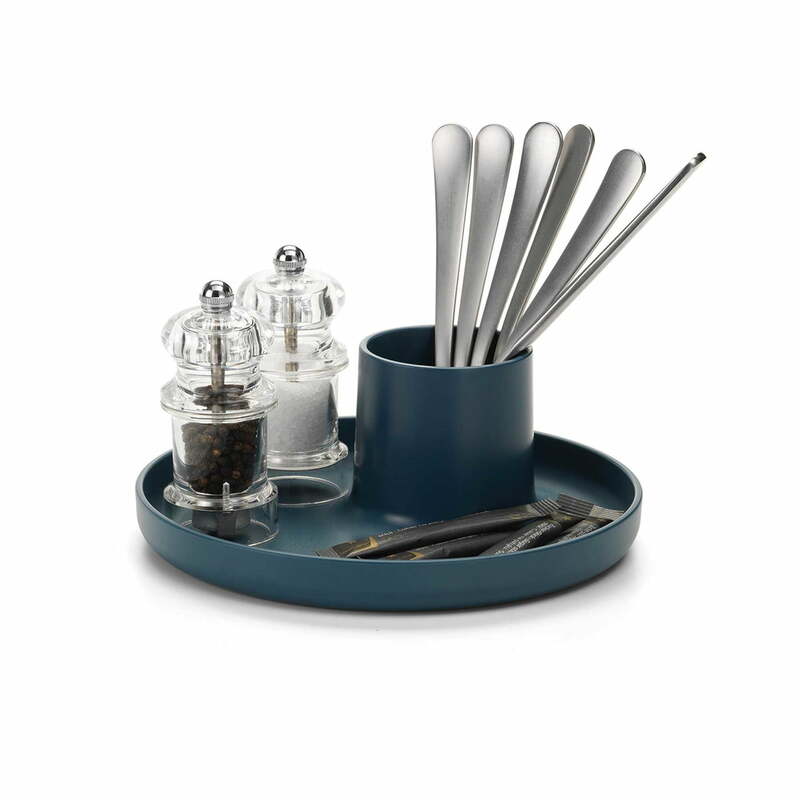 The container is made of durable plastic and is therefore versatile. 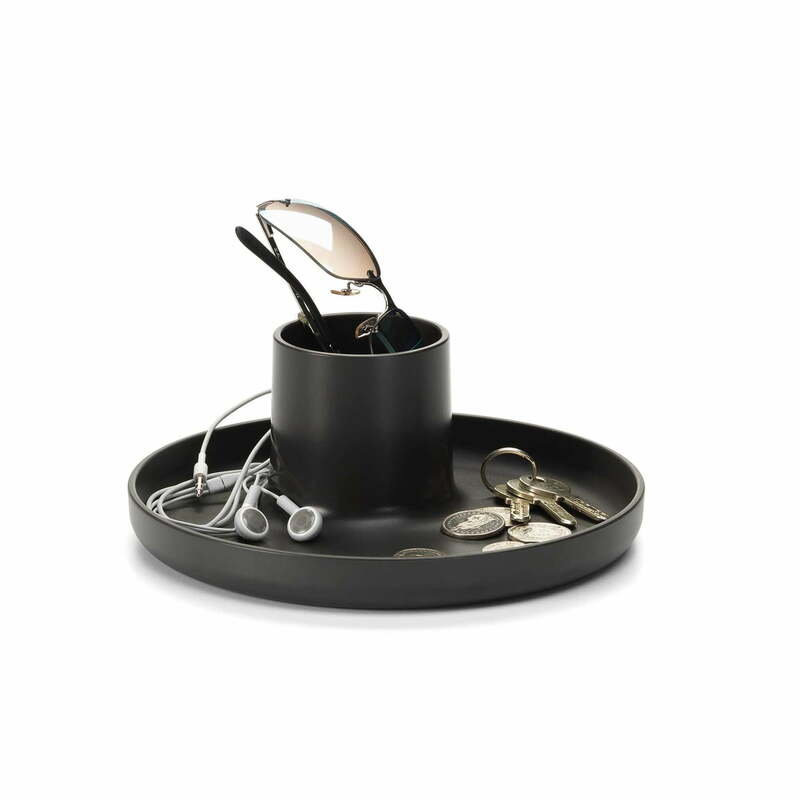 With the O-Tidy, Charlot has created a versatile everyday gadget, which stores the paper clips and pens on the desk. But also in the bathroom toothbrush, perfume, makeup and other cosmetics can be collected with the O-Tidy. 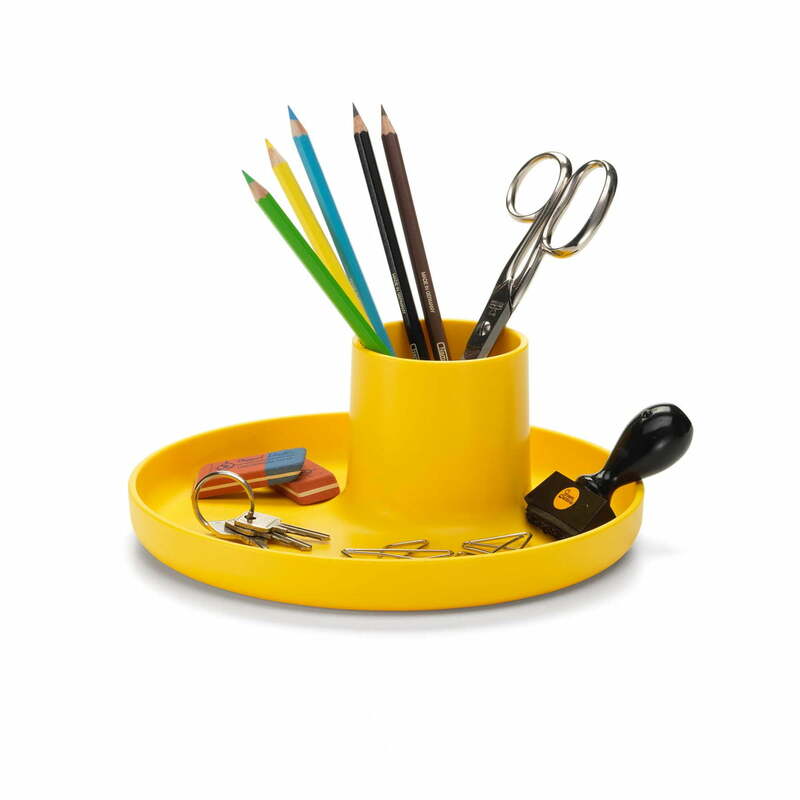 Coming in various colours, the O-tidy is a colourful companion for different living areas. 0 of 1 customers have found this review helpful. Nice material that blends right into a modern interior. The dark grey doesn't steal the show, but it blends right in. Yet the design stands out in it's own unique way. Individual image of the O-Tidy by Michel Charlot for Vitra in white. 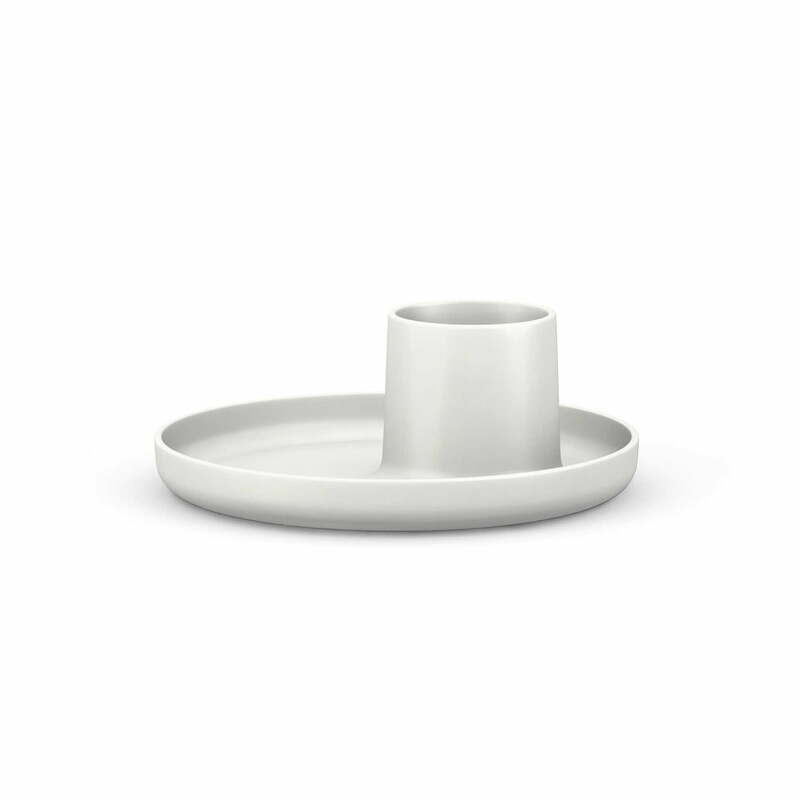 It’s a practical container, which combines the basic forms of a cup and a plate in one object. L'Oiseau ceramic by Vitra in ivory matt with the O-Tidy by Vitra in light blue in the ambience view. 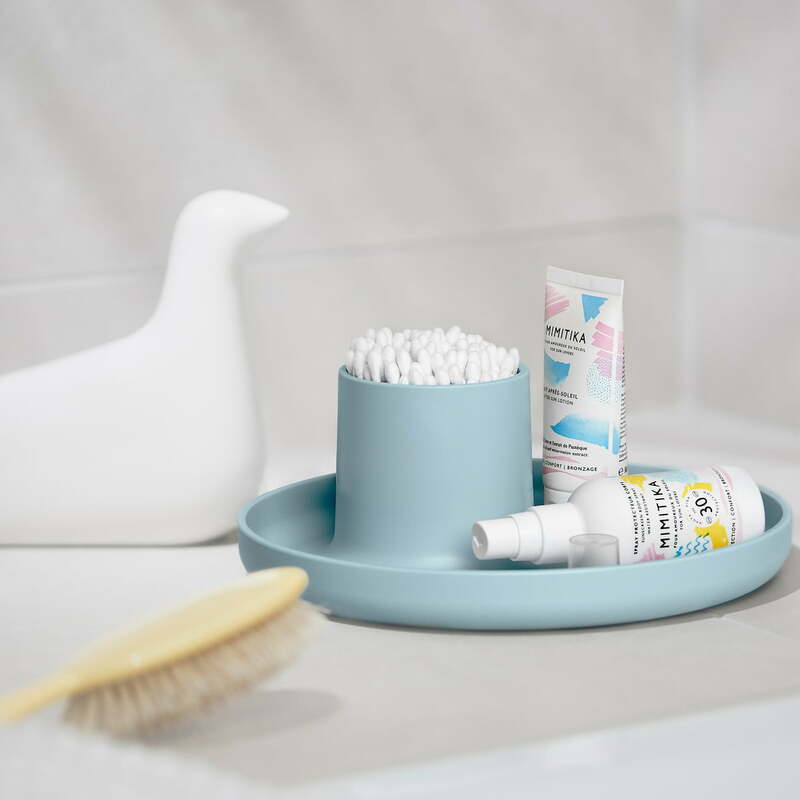 The pen holder and the ceramic figure become eye-catchers in the bathroom.